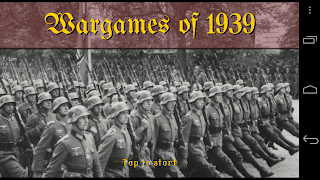 I've uploaded the final version of "Wargames of 1939", the World War 2 counterpart of Populus Romanus to Google Play at last. By the time I publish this post, the game should already be downloadable from there. Amazon Appstore will follow in nearby days as soon as the Amazon review process has approved the app. The next game ("Wargames of 1939") is nearing its completion! It is based on the engine of Populus Romanus, but has many additions and game-specific tweaks. Populus Romanus 2: Britannia ... released! Phew. Finally got Populus Romanus 2: Britannia completed and uploaded it to Google Play, in a few hours(?) the links below should be active. I'll put it also on Amazon Appstore soon (should take about 1-2 weeks to be accepted there due to approval process). The game has 8 scenarios set in the times of the Roman conquest of Britannia. Graphics have some updates since the original game, unit types are the same as in original game (but with some subtle changes: Praetorians and Praetorian Cavalry have more health than others, spearmen and bowmen have less health than others, and bowmen see farther away than other units), and AI was slightly changed. As this is the very first released version of PR2, it might still have some bugs I haven't found yet, even though I've done my best to ensure the quality. If you encounter something odd, please let me know and I'll fix it promptly! Also if some scenarios feel too easy, too hard, or too boring, I'd be happy to address such issues as well. Populus Romanus v1.4.1 is now released on Google Play. Amazon Appstore will follow up in 1-2 weeks when the new version is approved. The new version adds difficulty level settings: there is now easy, normal and hard variant for each scenario. Also, scenario #6 (Adriatic coast) is made somewhat easier based on feedback from several players. It has a new campaign of 8 scenarios situated in the area of modern day England and Wales, starting from the initial landing of Romans and continuing up to Boudica's rebellion. There are some gameplay related changes (e.g. units have different spotting ranges, making some of the weaker units better scouts) but the overall the gameplay experience is very familiar to veterans of original Populus Romanus. Naturally the original game will continue to be supported as well. On that front, I'm going to make those Hannibal scenarios harder as requested by several players. - Added a setting to define the odds, above which attacking unit will always win. This is by default 75%, but you can set it to any value between 70%-100% on 5% intervals. Value of 75% here means that whenever any player (human or AI) attacks with odds equal or better than that, the attack is considered to be so overwhelming that the defender does not have a chance against it. To disable this and get back the behaviour of version 1.3.0 and earlier, just set this to exactly 100% and it's like it used to be. - Feature request: Settings for screen centering behaviour. You can disable centering on unit selection, and/or centering after unit has moved. - Bugfix: Fixed a rare OpenGL ES crash when switching between the game and other applications. Occasionally happened while switching back to game after some time had already passed since playing, and Android had killed the graphics context already. - Bugfix: Fixed a crash that sometimes occurs when last enemy unit was killed and AI then recruits a new unit in a town. Version 1.3.0 is initially available on Google Play (Android Market), with Amazon Appstore version following up in nearby days if/when Amazon QA is passed.